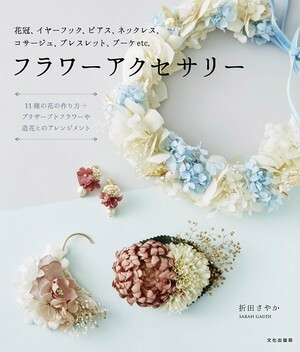 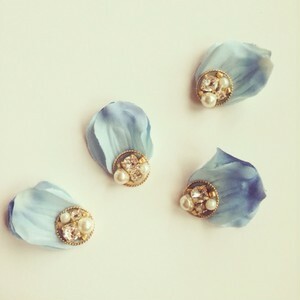 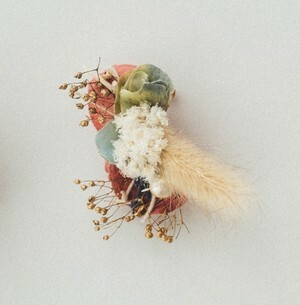 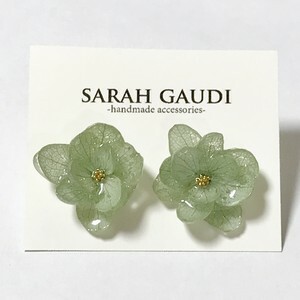 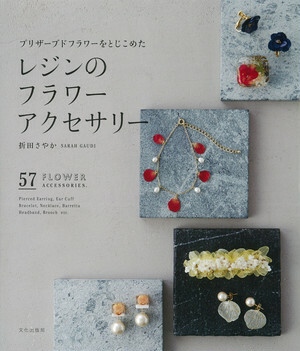 It is earrings made of the bijou and fabric flower. 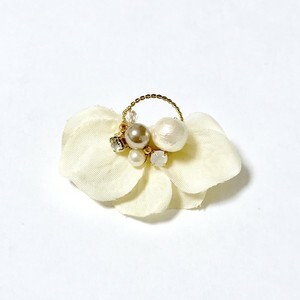 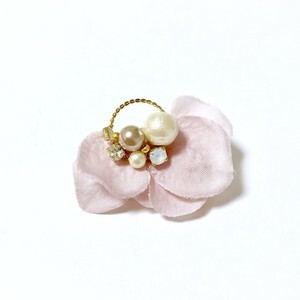 I put a pearl and bijou in fabric flower. 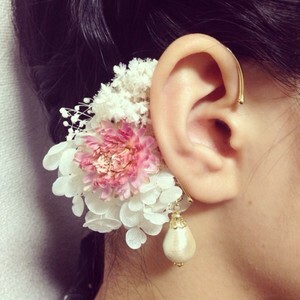 I think it's design which you can incorporate willingly. 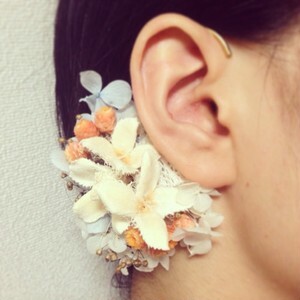 It would be a nice asymmetry to wear different accessories in one ear. 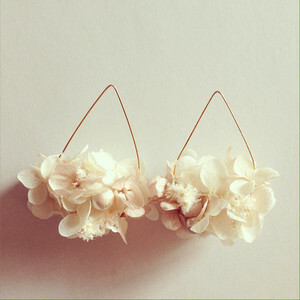 It's wear on both ears and also cute. 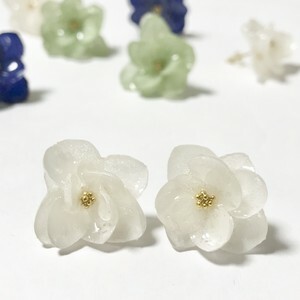 ※ It does not correspond to allergy because it is plating processing. 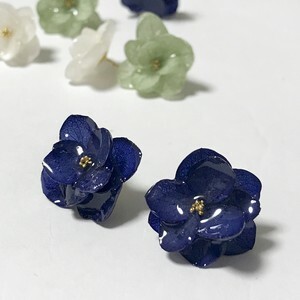 ※ Please be careful about the handling because it is a sensitive product. 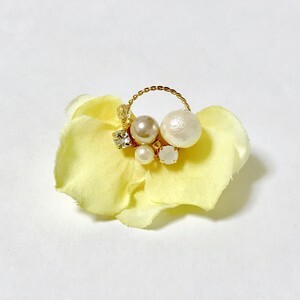 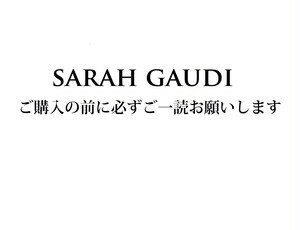 ※ There is the case that the position and shape are a little different. 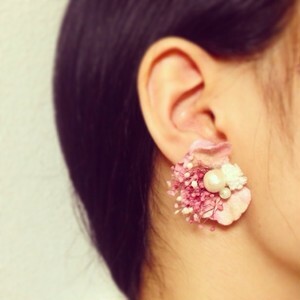 Please choose ”ピアス” if there is a hole in your ear. 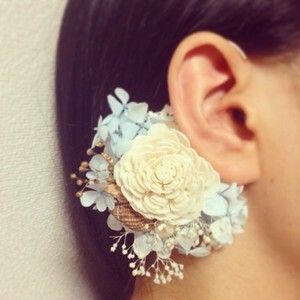 Please choose ”イヤリング” if there is no hole in your ear.